The 1980 Talking Heads (image credit) album Remain in light has rightfully been hailed as one of the albums that defined a decade. 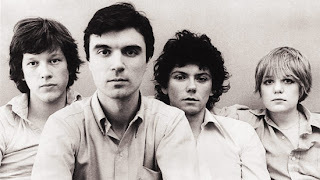 The almost psychotic talent of lead singer David Byrne and the sensational Eno production created a landmark. No major hits on this album, the only single Once in a lifetime flopped majestically - and has remained an audience favourite nevertheless. The outstanding song is the haunting Listening wind, about the Indian Mojique who thinks of days before 'Americans' (a delightfully ironic term in this respect) came and then proceeds to do something drastic about it. We sit and listen to the sand and wind as Mojique awaits news of his actions.